Welcome to the blessed path - your very own 7,000+ square foot luxury escape. Nothing here is overlooked, no corners cut. 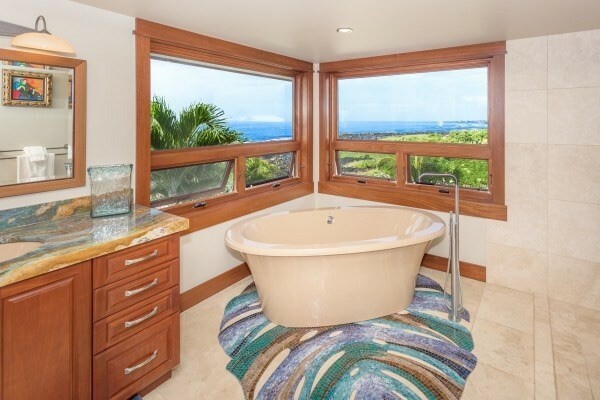 This property is a sanctuary, inspired by tranquility and ease of the Hawaiian tropical life. Here you can see the preferred aesthetic of Artisan design with some sprinkles of mid-century. Open, spacious, and full of highlights to fascinate the high-taste eye, the detailing throughout will surely keep you on your toes. 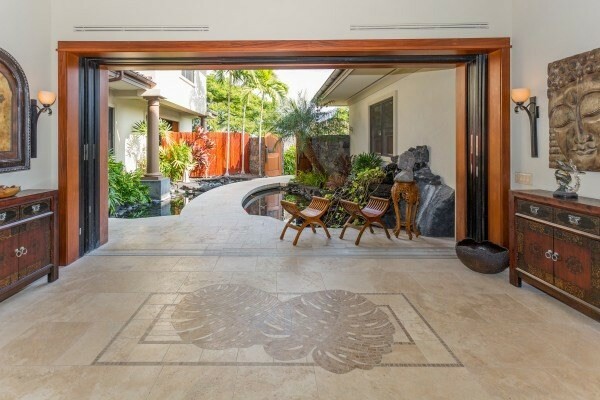 Open your mahogany entry gates and make your way into a tropical meditation garden, with a private cascading waterfall and a pathway over a pond. 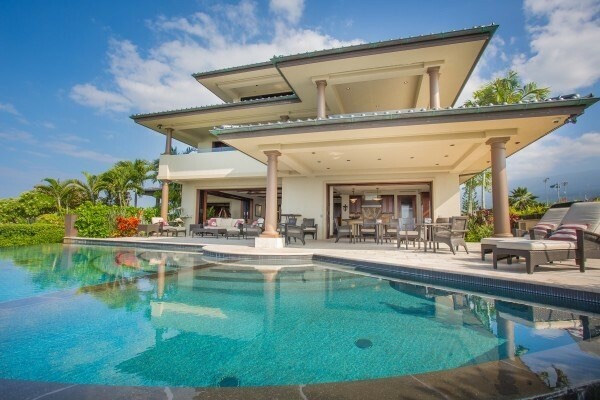 After admiring the tropical zen exterior, step inside and find every inch is carefully designed and crafted. Thoughtful architectural characteristics take center stage here; in this simple design, 180 degree ocean views, amazing masonry, and woodwork flow and blend together. There was no need to overpopulate this design masterpiece with too much stuff, preferring items with personal touches, practical function, durability on the oceanfront elements, and clean, beautiful lines. 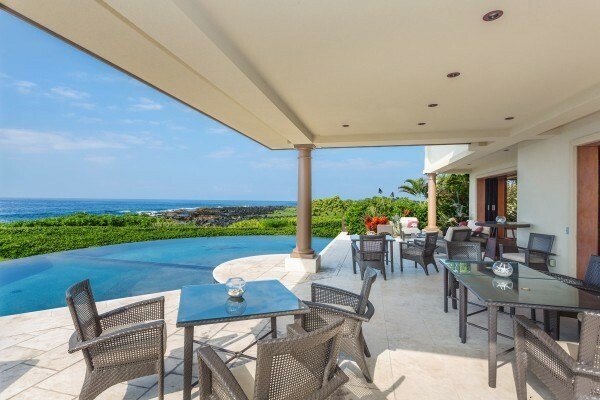 This home is furnished with commissioned art by several talented local artists. The entry will lead you to the inspired great room, warm and calming with your sleek stone floor and gorgeous coffered ceiling. Disappearing doors allow for a free-flowing floorplan to the infinity pool (which, by the way, is split heated and unheated for either taste) and your covered and uncovered charming outdoor space, letting the view shine, with plentiful seating and luxe indoor-outdoor decor. Large enough for events, but the layout still maintains privacy. 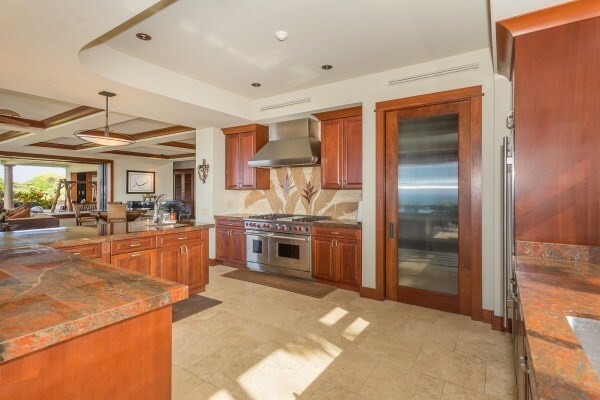 Adjacent to the airy and orderly great room is your chef designed kitchen with rich, earthy textures. There's a striking balance between elegance and luxury, yet includes a functional space for cooking and entertaining all while enjoying the breathtaking views. 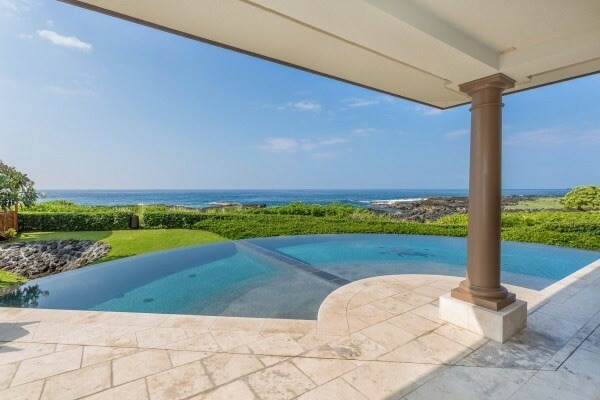 This space has a culturally vibrant sense of style tied to the historical significance of the Hawaiian land it is nestled on. The kitchen features an ornate mosaic backsplash, running up the entire wall, a generous stone bar island for dining or serving, and a Wolf six-burner stove/plus griddle and two ovens. The kitchen also offers a built-in drawer microwave, two dishwashers, two full size sub-zero refrigerator and freezers...truly a chef's sanctuary. 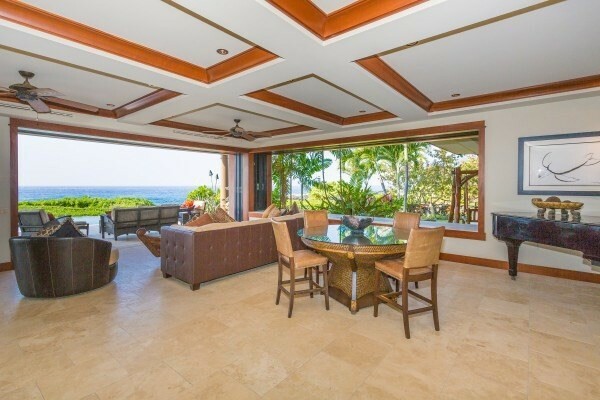 Your main home with extraordinary views (especially the bare headland lot to the North, which will likely remain undevloped as they are state-owned park land) boasts 3 master bedrooms and 4 baths, with an additional “ohana unit” (separate living quarters) ground level to the left of the main entry. Gain access to the other bedrooms via the grand spiral staircase or a short elevator ride. Each room has a stunning atmospheric ambiance and this home is one to relax, unwind, and quiet mental chatter. 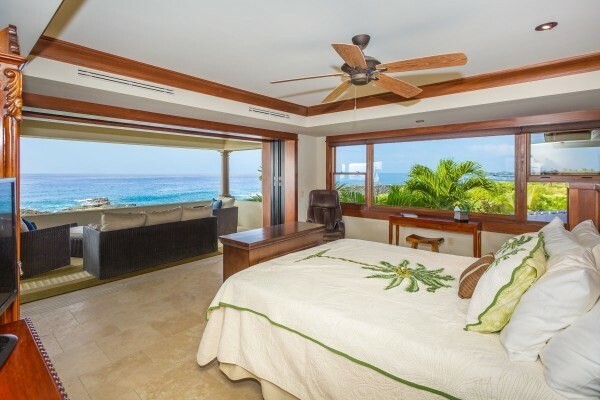 The second floor holds two oceanfront bedroom en suites. The third floor has a magnificent master suite. There are so many unspoken details, you really have to see the home.